2. 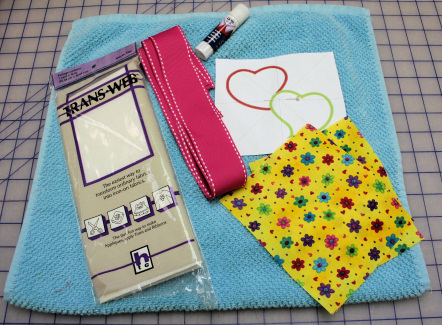 Using the same color thread in both the bobbin and needle embroider the first color. 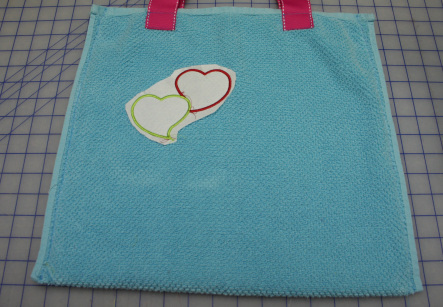 Embroider all the rest of the colors except for the last one. 3. Remove the hoop and place face down on a flat surface. Adhere the ribbons so that they stick out at the top (face down if applicable). 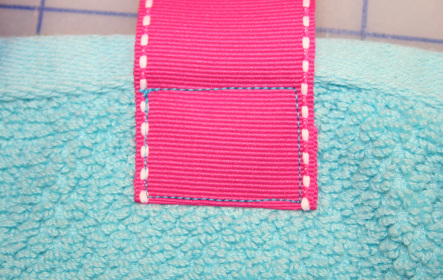 Put a little temporary adhesive around the edges of the wrong side of the second fabric strip. 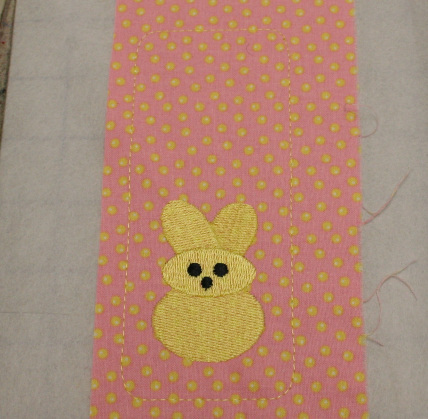 Place, face up, over the stitching and ribbon. 4. 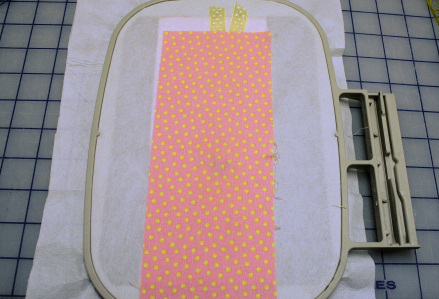 Carefully place the hoop back on the machine and check that the ribbon and back fabric is in place. 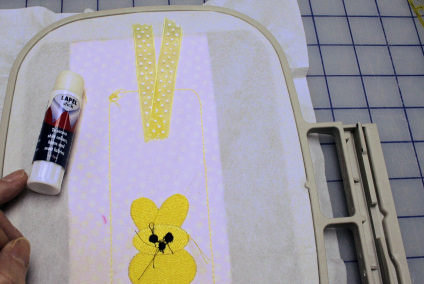 Embroider the last thread color. Remove the hoop from the machine. 5. Remove the design from the hoop. 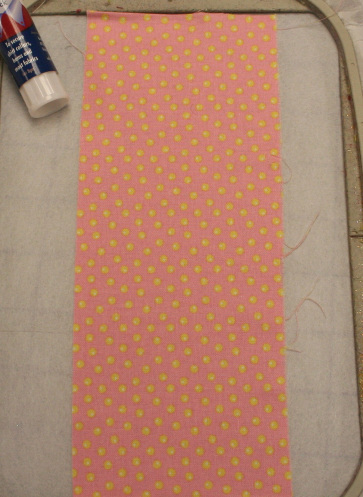 Pink around the outside of the bookmark border stitching being careful not to cut the ribbons. 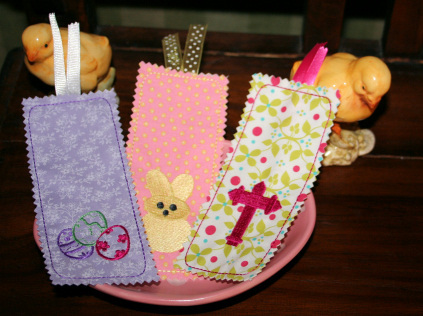 Your quick and easy Easter bookmark is finished. You could roll these up and put in eggs (instead of candy) for an egg hunt. Add them to an Easter basket or send them in a card. And just watch the pile of small scraps go down! Bobbin Basics What is wrong with this picture?